Could More Have Been Accomplished? Despite the Confederacy’s handicaps in creating a navy, its embryonic fleet came tantalizingly close to upsetting the Federal navy’s superiority in March and April of 1862. The Confederate ironclad CSS Virginia (with Captain Raphael Semmes) temporarily terrorized a formidable Union fleet in Hampton Roads during March. The Virginia's success panicked some of Lincoln’s cabinet members; fortunately for the North, the USS Monitor arrived before the Virginia could wreak further havoc upon the fleet. The Monitor neutralized the Virginia, and the Federal fleet in the Chesapeake was never again seriously challenged. A month later, despite fears that the Confederates would have three ironclads waiting for then Captain David Farragut’s fleet, the Federal fleet captured New Orleans before the two largest Confederate ironclads became fully operational. Had the two large ironclads, the Louisiana and the Mississippi, been ready, the attack on New Orleans might have had a different ending. Even the Arkansas, an uncompleted warship, created consternation in two Union fleets on the Mississippi in mid-1862. Thereafter, Confederate naval efforts would continue to be insufficient and too late. In April 1861, the North had forty-two commissioned warships; the Confederacy had none.1 Although the South began the war without a navy, the initial disparity in naval forces was not necessarily decisive. With only forty-two warships, the northern navy was not large enough to implement an effective blockade of every significant Confederate port. Nor did the North possess warships to control the western rivers. The Confederacy’s initial lack of a navy was further mitigated by three other factors. First, Union naval superiority would take time to manifest itself; the North would have to recall its existing naval warships from distant stations, and to implement its blockade, it would need to buy and build blockading vessels. Second, naval technology had been changing rapidly during the late antebellum period. Contemporary advances, particularly the idea of protecting warships with iron armor, could have rendered most of the Union vessels obsolete in the face of a Confederate navy built from scratch and immediately exploiting the latest technology. Secretary Mallory understood the opportunity presented by the new technology, especially the importance of ironclad vessels. He realized that the South could not compete in building standard wooden vessels, so he opted for a southern navy based upon ironclad vessels. With the various delays facing the Union in assembling its naval might, the Confederacy was granted a grace period of several months in which to build its own navy. If the Confederacy had acted quickly to build several ironclads, its navy might have seized control of large expanses of American waters. The South possessed at least a limited shipbuilding capacity. Although the antebellum southern shipbuilding efforts were dwarfed by northern shipbuilding, the South was not starting from scratch: the eighth U.S. census listed thirty-three southern “Ship and Boat Building” establishments, with 546 workers.4 The Confederacy was blessed with two major shipbuilding facilities: Norfolk and New Orleans. When the Federals abandoned Norfolk in 1861, they failed to destroy the large Gosport Navy Yard completely, making possible the resurrection and transformation of the frigate USS Merrimack into the CSS Virginia. Norfolk contained a large amount of ordnance and was also fairly close to the Tredegar Iron Works in Richmond (a firm with a history of building naval guns and that would now produce iron plating). The naval ordnance at Norfolk was critical. The Confederates distributed it among various ports; the guns enabled the Confederates to hold some of the ports against the wooden vessels blockading them. New Orleans had facilities to build ships, too; unfortunately for the nascent Confederate navy, the vessels produced in antebellum New Orleans had been primarily river craft, and it is unlikely that any warships or ocean steamers had been constructed there.5 Despite the city’s inexperience at building warships, the fact that it nearly completed two ironclads before Farragut’s fleet captured the city was testimony to its shipbuilding potential. Memphis was another early site of ironclad building. Two ironclads were laid down there, but these were unfinished when the Federal fleet took the city. One of the ironclads was destroyed, but the other, the Arkansas, was moved to the Yazoo River. If the Confederacy had acted quickly to build several ironclads, its navy might have seized control of large expanses of American waters. Propulsion was also a problem, since the South’s ability to produce boilers and machinery was limited. The eighth census listed 115 southern establishments that manufactured steam engines and associated goods; these establishments employed 4,570 workers. Southern steam engine manufacturers constituted about 10 percent of the total U.S. capacity, but most of these southern shops were capable of producing machinery only for small vessels. Even the machine shop at the Norfolk navy yard was inadequate; Mallory informed Jefferson Davis that this shop was incapable of producing heavy steam engines and that Tennessee possessed the only machine shop capable of doing such work.9 However, there were several establishments in New Orleans equipped to produce machinery, if they were given time to adapt to the needs of warships. Perhaps the most important scarcity impeding the Confederate naval buildup was that of time. Historian William Still, Jr. concludes, “One other factor cannot be ignored—time. Materials needed to complete vessels were delayed because facilities were destroyed or had to be moved in the face of advancing enemy forces. Time and time again uncompleted ironclads and wooden gunboats had to be destroyed to prevent their capture.” The Confederates ran out of time at New Orleans and Memphis; the cities were captured before the ironclads necessary for their defense could be completed. The loss of these cities, as well as Norfolk, forced delays while craft under construction there were transferred to other, more remote, locations. Shortages of material and labor created other delays. Had the two large ironclads, the Louisiana and the Mississippi, been ready, the attack on New Orleans might have had a different ending. In addition, the southern shipbuilders needed time to learn how to construct warships and ordnance. Prior to the war, the builders of the Mississippi, the Tifts, had never constructed a ship, much less a warship. Confederate captain John K. Mitchell would later testify, “The facts show that the [war] vessels could be constructed [in New Orleans]. However, the work was unusual at that point [1861–62], and the mechanics engaged in it undertook to do what they were not accustomed to do, and the consequence was they took more time than they probably otherwise would.”14 Confederate naval construction would have produced better results if left unmolested; the Union forces, primarily through the blockade and the capture of key ports, denied the South the time it needed to build a strong navy. The Confederacy, then, faced significant disadvantages in building a strong navy using domestic resources. Indeed, relying upon domestic resources was probably the worst way for the Confederates to obtain a strong navy. Besides not producing enough ironclads to defend southern rivers and ports, the South also failed to build ironclads capable of offensive operations in coastal waters. Because of their deficient machinery and haphazard design, the Confederacy’s domestically built ironclads were generally not seaworthy enough to operate in coastal waters, much less on “blue water.” Mallory decided that only vessels purchased or built in Europe could attack northern blockaders. Two rams and another iron warship were to form the nucleus of a Confederate fleet designed to sweep away the blockaders and challenge northern supremacy in American waters. At one point, the Confederacy had ten warships of varying size and armor under contract.18 Two Confederate naval officers, Bulloch and Commodore Samuel Barron, hoped to engage the Union fleet with the vessels being built in Europe. Their hopes may have been overly optimistic. The two rams that were built under Bulloch’s direct supervision (known as the “Laird rams”) were originally intended to be able to navigate inland waters as well as the Atlantic. Therefore, they had shallow drafts and rode low in the water; while they were more seaworthy than many of the northern ironclads, their weatherly qualities were dubious. Indeed, after the rams were “sold” to the British in order to forestall outright confiscation, they were primarily used for harbor defense and not for cruising the high seas. Confederate efforts to obtain European-built warships were also plagued by financial difficulties. As early as July 1861, Mallory was complaining about the lack of funds. The Laird rams were priced at a little less than a hundred thousand pounds each, while North’s larger warship was roughly double that. The depreciating Confederate currency made payment more difficult, and Commander North had to request ever-larger sums.22. The Confederate navy's attempts to get European-built warships, then, were largely futile. Aside from some commerce raiders and one ironclad warship, the CSS Stonewall (which never reached a Confederate port by the end of the war), the Confederacy was unable to augment its naval power with European-built warships. The Confederacy failed, narrowly in several instances, to wrest even temporary control of important American waters, despite vigorous efforts to obtain a strong navy. For various reasons, the Confederacy was forced to rely upon domestic resources in building its navy during the crucial first year of the war. In many cases, the Confederate efforts simply ran out of time, as the lack of iron plating, machinery, skilled labor, and other resources delayed construction of what could have been formidable warships. Indeed, time may have been the key resource for the Confederacy. The autumn of 1861 was the best chance for the Confederacy to gain effective control of southern waters: only three Union “timberclads” patrolled the western rivers, and the blockade was only beginning to become effective. But early in 1862, a new factor emerged to suppress the Confederate chances of gaining maritime superiority: the Union navy. The Union fleet helped stunt the embryonic Confederate force. By blockading the mouth of the Mississippi River, the Federals forced the New Orleans shipbuilders to transport iron and machinery from Virginia and the eastern Confederacy by rail; the rickety Confederate railroad proved inadequate for the task. Also, the blockade depressed southern revenue from exports of raw cotton and raised import costs, thereby stymieing purchases and imports of iron plating and machinery. Thus, the Federal navy’s blockade became a form of self-preservation, as a weak effort would have eased the South’s difficulties in constructing or obtaining a strong navy and then sweeping away the blockaders. The stronger the Federal blockade, the more difficult for the Confederacy to contest Union sea power, specifically the blockade. In addition, the Federal navy’s capture of New Orleans and Memphis eliminated two key Confederate shipbuilding centers. Despite Mallory’s strenuous efforts, which came close to succeeding, did the Confederates and Mallory make the best use of their resources, especially that of time? Could they have done better, and if so, why did they not? The Confederacy ran out of time to build a stronger navy. It was also forced to rely upon inadequate domestic resources when its attempts to get warships from Europe failed. 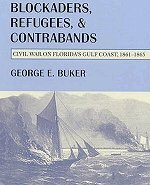 This section examines some of the crucial decisions that affected the Confederate naval buildup. It concludes with what might have been a solution to the fatal delay in obtaining warships. Most of the deep South seceded in early 1861. Several weeks elapsed before the Fort Sumter episode triggered the war. Although the Confederate government was beginning to organize, the young country might have immediately started to acquire a navy. The Confederates could have claimed that acquiring warships was not a hostile action but simply the action of an independent country seeking to protect its ports and waters.25 An early acquisition of European-built warships might also have avoided the neutrality issue raised after the war began, as prior to Fort Sumter the Confederates could have more freely contracted with European shipbuilders to construct warships than they could afterward. The Confederates might have opted to purchase and import naval supplies such as machinery and iron plating before the war and its attendant blockade. Did the Confederates make good use of the prewar period? Clearly, then, Mallory displayed energy in attempting to obtain warships. Despite his energy, the results were disappointing. Were some of the Confederate government’s efforts, and his own, misguided?29 The decisions early in the war to launch privateers and commerce raiders, to enact a cotton embargo, and to rely upon European-built warships were crucial to Confederate naval success or failure. These decisions were fraught with uncertainty. Privateering and commerce raiding were supposed to disrupt the northern economy and draw Federal warships from their blockading duties, weakening the blockade. Jefferson Davis’s decision to rely upon privateering, and later commerce raiders, was based partly upon the Confederate belief that European powers would intervene. The Confederates thought that European intervention would come soon, reducing the need for a strong Confederate navy. Contemporary advances, particularly the idea of protecting warships with iron armor, could have rendered most of the Union vessels obsolete in the face of a Confederate navy built from scratch and immediately exploiting the latest technology. The British, recalling the depredations of American raiders during the Revolutionary War and the War of 1812, were especially cool toward commerce raiding. Second, given the limited funds and time available to Confederate agents, expenditures upon the flamboyant commerce raiders meant less purchasing power and time for obtaining regular warships or naval supplies. Third, the northern outcry regarding the depredations of British-built commerce raiders eventually caused the British, and later the French, to tighten their interpretations of their responsibilities as neutrals. By the time the Confederates succeeded in making contracts for armored warships, the tightened neutrality enforcement prevented them from getting them to sea. Though it boosted morale within the Confederacy and discomfited northern shippers, the policy of relying upon privateers and commerce raiders exacted a high price in terms of a Confederate naval buildup. The financial resources, time, and energy spent in obtaining raiders would have been better spent in obtaining naval construction supplies or European-built warships that could have engaged Union warships. Another decision confronted the Confederacy in autumn 1861. The South considered its price-setting power in the market for raw cotton a strong strategic weapon. How best to use raw cotton to secure southern goals, however, was a daunting question. Southerners had long boasted that by withholding “King Cotton” they could drive the European powers and the North to their knees; therefore, many believed an embargo was the best way to use raw cotton as a strategic weapon. However, the South might have been mistaken about King Cotton’s real power. In retrospect, the unofficial embargo of late 1861 appears to have been the wrong choice, especially in that it did not inspire European intervention. In some ways, late 1861 proved decisive in this respect: the Confederacy needed to establish credit in Europe at that point, and cotton was the fledgling nation’s best asset. 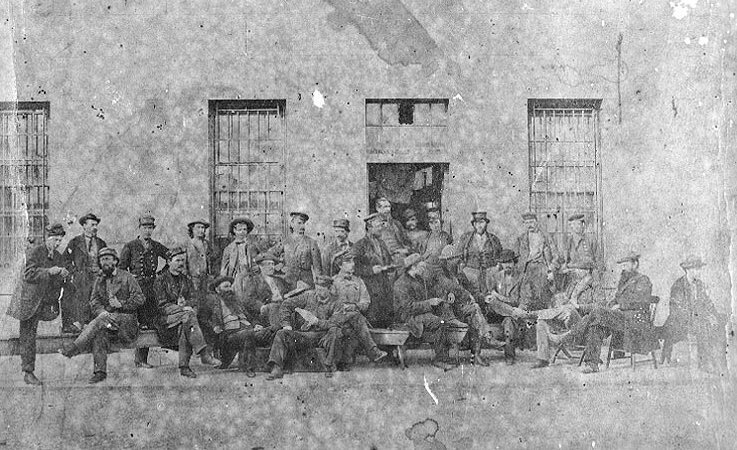 Although some historians believe that 1861–62 would have been a poor time for Southerners, staying in the world raw-cotton market, to have used their collective price-setting power (by continuing to export cotton, albeit in smaller quantities—but for higher prices), an examination of that market casts doubts on this thesis.33 The Confederate government might have obtained cotton via purchase or loans and shipped as much as it could through the still-developing blockade. The Confederacy’s enhanced purchasing power would have enabled it to purchase greater amounts of war materiel and to ship such supplies through the still relatively weak blockade, at lower transportation costs than were incurred later in the war. Thus, the Confederacy could have entered the second year of the war in a stronger position than it actually did, having embargoed exports of raw cotton. While this scenario presupposes that shipping would have become available to transport cotton, the loss of northern shipping might have been offset by foreign vessels responding to rising freights. Moreover, encouraging foreign shippers to pick up raw cotton carried an extra benefit: constant harassment or detention by Union warships of foreign merchantmen might have created a pressure for those governments to act. Further, the export of large amounts of raw cotton would have undermined the Union’s assertion that the Union blockade was effective, and an erosion in the perceived effectiveness of the Union blockade might have swayed the Europeans toward intervention, or at least repudiation of the blockade’s legality. Another compelling reason for not implementing an embargo was that a potential shortage of raw cotton could be better used as a standing threat; as it was, the embargo gradually forced the British to learn to survive without southern raw cotton, and the value of any such potential threat dissipated. The Southerners might have been better off keeping the British and French manufacturers in a state of fearful ignorance of the ramifications of a possible cutoff. By shipping raw cotton, the Confederacy would have put the onus of any shortage upon the North. The Confederates could have pointed to the Union’s blockade as the cause of European economic dislocation. Finally, a free trade policy would have created better feelings between the Confederacy and the Europeans. Therefore, the informal embargo on the export of raw cotton hobbled the southern economy, incurred the anger of Europeans, and did not induce intervention. Once the northern blockade became stringent, the Southerners’ opportunity to exploit price-setting power in the world market for King Cotton slipped away. The Confederacy and its naval buildup would have been better off without the embargo. As we have briefly noted, shifting European interpretations of neutrality laws confounded the Confederates. Aside from some commerce raiders, only one of the European-built warships earmarked for the Confederacy ever sailed under the Stars and Bars, because the Europeans developed a narrow interpretation of their neutrality responsibilities.34 Mallory had instructed his agents to be scrupulous in observing European neutrality. International law seemingly allowed neutrals to build seagoing vessels for belligerents as long as the vessels were not armed in the neutrals’ ports; Mallory relied upon this interpretation. Unfortunately for his efforts to purchase warships, the British (and later the French) eventually decided to interpret their neutrality as covering any vessel that could reasonably be used as a warship, even if not armed in that country. As early as April 1862, Bulloch warned Mallory about the changing British attitudes, but the Confederate authorities were slow in recognizing the shift. Bulloch wrote, “The British government seems to be more determined than ever to preserve its neutrality, and the chances of getting a vessel to sea in anything like fighting condition are next to impossible.”35 Mallory preferred to believe that the escape of the British-built commerce raiders was a truer indication of British interpretation of their neutrality obligations. Certainly, the Confederates received mixed signals from their diplomatic and naval personnel. Several expressed their belief in early 1862 that recognition or at least an easing of the neutrality laws was imminent.36 Based on these reports, Mallory renewed the efforts to purchase European-built warships. While Mallory’s decision did not result in success, it was an understandable one. European-built warships promised to be better than any Confederate-built vessel. In addition, given Europe’s comparative advantage in building warships, less time would probably have been needed to acquire European vessels than to build them. Gambling upon European assistance may have been prudent, especially early in the war. As the war continued, however, the prospects that the Europeans would recognize the Confederacy—or even connive at building warships for the Confederates—depended upon their estimations of eventual Confederate military success. By quickly acquiring European-built warships, the Confederacy might have forestalled Union naval victories, strengthened its bid for recognition, and increased the Europeans’ willingness to supply additional warships. Because the Confederacy suffered major defeats in the western theater during early 1862, European enthusiasm for intervention and recognition diminished, and the Europeans were more willing to tighten their neutrality rules when pressed by Washington. Ultimately, European recognition of Confederate independence and tacit permission for warships to sail from their ports proved elusive. Europe, of course, possessed greater capabilities for manufacturing iron plates than did the South. In addition, Mallory knew as early as May 1861 that the Confederacy would have difficulty producing them. The imported iron plates would have enabled the Confederacy to quicken the pace of shipbuilding, while conserving the scarce iron held in the Confederacy. The Confederates could have also more easily imported shipboard machinery earlier in the war. Further, the plan would have eased the dilemma posed by British and French neutrality (inherent in obtaining warships from Europe), as the importation of iron and machinery was less controversial than the purchase of entire warships. The shipping of iron plates and machinery would have also avoided the difficulty of making European-built iron-armored vessels seaworthy enough to navigate the Atlantic and yet shallow enough in draft for coastal waters.40 Finally, Bulloch’s original plan would have precluded the disappointments suffered by the Confederacy when their ships were seized by British and French authorities under neutrality rulings. Thus, even as late as fall 1861, given sufficient purchasing power and the ability to import rolled iron and machinery through the still-developing blockade, the Confederacy could have obtained more materials to alleviate the shortages and to build enough ships domestically to contest the Union navy’s control of the American waters. The key would have been to obtain the iron plating and machinery both to speed construction of the Virginia and other ironclads and to improve these vessels’ quality. While, even with foreign help, the Confederacy was unlikely to win a prolonged ironclad arms race with the North, it could have hoped to gain at least some localized superiority by early 1862; such an advantage might have persisted through mid-1862 and have created sufficient consternation further to discomfit the fragile northern political coalition. In retrospect, Bulloch’s plan to ship iron plates and machinery looks astute; it could have improved the Confederate navy, especially had the attempt been made early in the war before the Union navy’s blockade became stringent. The Confederate States of America failed to field a navy strong enough to gain superiority on the American waters; specifically, the South never completed enough ironclads to wrest control of the American waterways. The domestically built ironclad was not a total strategic failure: the presence of the ironclad Tennessee in Mobile Bay delayed Admiral Farragut’s attack until northern ironclads could leave their posts in the Atlantic; the ironclads in Charleston, Wilmington (North Carolina), and Savannah—including the CSS Atlanta, Chicora, North Carolina, Palmetto State, and Raleigh—also helped delay Federal attacks, keeping these ports open for Confederate blockade runners.41 Still, both the domestic building and foreign purchasing endeavors failed to net enough warships. built warships proved wasteful in terms of time, energy, and delayed domestic construction of ironclads. Fourth, the delay in importing naval supplies during late 1861 before the blockade became fully effective forced the Confederate navy to rely upon the South’s inadequate domestic resources. The first three decisions certainly rested upon the perception that quick European recognition and intervention were likely. While this perception proved erroneous, it was not necessarily unreasonable. Some historians believe that the Confederates were on the verge of gaining European recognition or intervention (by mediation perhaps); if so, even a moderately stronger Confederate navy might have precluded certain key Federal victories in spring 1862 and triggered such intervention or recognition. Nonetheless, there was an opportunity for the South during the fall and winter of 1861–62 to export more cotton before the blockade became too effective. The South’s increased purchasing power could have enabled it both to obtain sufficient iron plating and machinery to build rapidly several ironclads and to reduce the disruption to its economy caused by the Federal blockade. The purchase of European-built warships was more feasible earlier in the war as well, before the British and French governments tightened their policies on building vessels destined to become warships for belligerents. Concentrating upon regular warships, particularly ironclads, rather than commerce raiders early on might have been more fruitful too. The prospects for a strong Confederate navy depended upon correct divinations by Davis and Mallory of European attitudes. Immediately and energetically pursuing ironclads or other warships in Europe, if such an opportunity arose, and promptly importing iron plating and machinery to bolster domestic construction, may have involved too much prescience to ask of any leader, much less those involved in creating a new country and navy. Even had Davis and Mallory succeeded in their endeavors, we need to ask whether the Federals could have matched and forestalled them. Clearly, had Welles and Lincoln immediately implemented an ironclad construction program in early April or May 1861, the North might have rapidly built several and swamped the fledgling Confederate navy. As we have seen, though, Welles had reason to proceed cautiously. Indeed, although the Federals were aware in late 1861 of Confederate ironclad-building efforts at Memphis, New Orleans, and Norfolk, they reacted only belatedly and in a limited way: only three ironclads were begun by the Federal navy. The major buildup occurred after the Virginia and the Monitor showed their worth. If the Northerners lacked an immediate capacity to roll the requisite iron plating, they would have had an easier time purchasing and importing English-produced iron plating than the Confederates did. Certainly anything the Confederacy could do in the way of industry or overseas trade, the North could have done better. As it was, the North gave the Confederacy a head start, albeit a brief one, in procuring ironclads. The Federal failure to destroy thoroughly the Gosport Navy Yard at Norfolk was another significant mistake. The naval ordnance enabled the Confederates to arm and defend their seacoast and inland ports, hindering the Federal navy’s blockade and its attempts to capture those ports. The partially destroyed Merrimack at Norfolk, of course, was a godsend for the nascent Confederate navy, as was the shipyard’s huge dry dock. Had the Confederates been denied these assets, their attempts to obtain a strong navy would have been further impaired. Finally, the Union navy and army might have more aggressively attempted to capture key Confederate ports earlier in the war. Such endeavors were sometimes delayed while troops were scraped together from parsimonious army commanders. As we have seen, the capture of New Orleans, Memphis, and Norfolk severely reduced the Confederacy’s ability to build warships domestically or export staple products to Europe. Union naval superiority proved decisive in the war, but the North came perilously close to forfeiting, at least temporarily, its advantage. Mallory reacted creditably, by attempting to build a strong Confederate navy, but Jefferson Davis might have been more aggressive in pushing the Confederate Congress to support his secretary’s efforts.42 Still, if Davis and Mallory depended too much upon the hope of European intervention or connivance in supplying warships for the Confederacy, their error was, as we have seen, based upon not-unreasonable foundations. The delay and ultimate failure in obtaining European-produced iron plating and machinery was a less excusable mistake, for Mallory knew early in the war that the Confederacy was deficient in its ability to produce such commodities. Still, while it is possible that Mallory and Davis could have done better in building the Confederate navy, it also seems possible that other leaders in their places could have done much worse. A strong Confederate navy was not a chimera, but it would have required extraordinary foresight and skill, and perhaps not a little luck, to transform into reality. Dr. Surdam is a visiting professor of economics at the University of Chicago and the University of Oregon. His Northern Naval Superiority and the Economics of the American Civil War is forthcoming from the University of South Carolina Press in July 2001. His “The Union Navy's Blockade Reconsidered," in the Autumn 1998 issue, won the Naval War College Review's Edward S. Miller History Prize. The presence of two officers named Saunders has been reliably called into question. 1. After the war, Jefferson Davis expressed an interesting idea: he argued that the Confederacy had been entitled to some of the existing warships in the American fleet, since that navy had been the product of collective action by the states. Therefore, the naval officers who eventually cast their lot with the Confederacy should have brought their vessels with them. Jefferson Davis, The Rise and Fall of the Confederate Government (New York: D. Appleton, 1881), vol. 1, p. 313. Navy historian J. Thomas Scharf echoed Davis’s complaint. J. Thomas Scharf, History of the Confederate States Navy (New York: Rogers and Sherwood, 1887), pp. 17–8. 2. U.S. Navy Department, Official Records of the War of Rebellion: Navy [hereafter ORN], 30 vols. (Washington, D.C.: U.S. Govt. Print. Off. [hereafter GPO], 1894–1922), ser. 2, vol. 2, p. 67. 3. U.S. Naval History Division, Civil War Chronology (Washington, D.C.: GPO, 1971), vol. 1, p. 30; Paul H. Silverstone, Warships of the Civil War Navies (Annapolis, Md. : Naval Institute Press, 1989), p. 15; T. Harry Williams, Lincoln and the Radicals (Madison: Univ. of Wisconsin Press,  1969), pp. 359–60; and David D. Porter [Adm., USN], Naval History of the Civil War (New York: Sherman, 1886), p. 357. During the war, an entire class of ironclads (twenty vessels) proved defective, costing over ten million dollars; the fiasco was investigated by a congressional committee. U.S. Congress, “Light-Draught Monitors,” Report of the Joint Committee on the Conduct of the War, vol. 3, 38th Cong., 2d sess. (Washington, D.C.: GPO, 1865), pt. 2, pp. 824–5. 4. U.S. Bureau of the Census, Eighth Census: Manufacturing (Washington, D.C.: GPO, 1865), p. 698. 5. ORN, ser. 2, vol. 1, pp. 503–4 and 507; and Louis C. Hunter, Steamboats on the Western Rivers (Cambridge, Mass. : Harvard Univ. Press, 1949), p. 107. 6. ORN, ser. 2, vol. 2, pp. 51 and 67–9; and William N. Still, Jr., Iron Afloat: The Story of the Confederate Armorclads (Nashville, Tenn.: Vanderbilt Univ. Press, 1971), p. 11. 7. U.S. War Department, Official Records of the War of Rebellion, 128 vols. (Washington, D.C.: GPO, 1880–1900), ser. 4, vol. 2, pp. 512–3; and U.S. Department of the Treasury, Report of the Secretary of the Treasury: Commerce and Navigation, for the Year Ending June 30, 1860, 36th Cong., 2d sess., Sen. Ex. Doc. 8 (Washington, D.C.: GPO, 1861), p. 461. Only two southern manufacturers were capable of rolling railroad iron—the Atlanta Rolling Mill and Etowah Iron Works. Robert C. Black III, The Railroads of the Confederacy (Chapel Hill: Univ. of North Carolina Press, 1952), p. 23. The rails normally lasted from ten to fifteen years, but the increased wartime traffic probably meant a shorter life. The increased rate of deterioration exacerbated the shortage of iron in the Confederacy. 8. ORN, ser. 2, vol. 1, p. 606, and vol. 2, pp. 72–3, 152, and 183; and Still, Iron Afloat, p. 144. During the war, three southern rolling mills adapted their machinery to roll two-inch iron plate. ORN, ser. 2, vol. 1, pp. 581 and 599; and vol. 2, pp. 74 and 244. The North had difficulty in completing the Monitor because initially only one firm could roll even one-inch iron plates. Frank D. Moore, ed., Rebellion Record (New York: D. Van Nostrand, 1861–67), vol. 4, p. 59. 9. U.S. Bureau of the Census, Eighth Census: Manufacturing, pp. 716 and 738. Before the war, the shafts for the engines were produced in Baltimore and other northern cities. Mallory hoped that the purchase of a Nasmith hammer would rectify the deficiency at Norfolk. ORN, ser. 2, vol. 2, pp. 77 and 151. See also James Bulloch, The Secret Service of the Confederate States in Europe (New York: G. P. Putnam’s Sons, 1884), vol. 1, p. 21. 10. ORN, ser. 1, vol. 21, p. 600; and Still, Iron Afloat, pp. 44 and 144. Naval officers tested armor plating and decided to cover the vessels with two two-inch-thick layers of iron (one layer running vertically and the other running horizontally across the hull). Secretary of the Navy Mallory had hoped to cover the vessels with three-inch plate, but the southern mills were unable to roll this thickness. ORN, ser. 2, vol. 1, pp. 785–6; and Still, Iron Afloat, pp. 97–8. 11. ORN, ser. 1, vol. 5, p. 821; and ser. 2, vol. 2, p. 151. Tredegar faced many difficulties in getting pig iron from New Orleans in late 1861. The railroads needed months to get the material to Richmond, and the freights were greater than the original cost of the pig iron. In addition, 120 tons were lost in transit. C. B. Dew, Ironmaker to the Confederacy: Joseph R. Anderson and the Tredegar Iron Works (New Haven, Conn.: Yale Univ. Press, 1966), p. 103. 12. ORN, ser. 2, vol. 1, pp. 461, 534–5, and 605–6. 13. William N. Still, Jr., Confederate Shipbuilding (Athens: Univ. of Georgia Press, 1969), p. 67; Dew, Ironmaker to the Confederacy, p. 154; and ORN, ser. 2, vol. 2, pp. 135 and 151. Many of the Irish puddlers (who converted pig iron to wrought iron by a process involving heat, stirring, and oxidization) left Richmond and went north when hostilities began. Dew, p. 90. Early in the war, Jefferson Davis sent a naval officer, then-Commander Raphael Semmes, to the North to recruit skilled mechanics. Raphael Semmes, Memoirs of Service Afloat, during the War between the States (Baltimore: Kelly, Piet, 1869), p. 83. Tredegar attempted to recruit skilled workers from Europe in 1862, but the effort failed. Driven by desperation, Confederate officials began to scour prisoner-of-war camps for Union prisoners with skills. Usually the prisoners of war took oaths of allegiance to the Confederacy; to preclude escape attempts, the Confederate authorities then sent lists containing the names of these new Confederates to the Union army. Dew, p. 234. 14. ORN, ser. 2, vol. 1, pp. 461 and 527; and William N. Still, Jr., “Facilities for Construction of War Vessels in the Confederacy,” Journal of Southern History, vol. 31, 1965, p. 304. 15. ORN, ser. 2, vol. 2, pp. 67–9. Mallory cited mitigating factors that would reduce the cost of the Gloire and other ironclad vessels—that they carried fewer guns and required smaller crews than traditional sailing vessels. ORN, ser. 2, vol. 1, p.742. Ironically, Gloire might have been a useless acquisition. Historian Warren Spencer details the dubious seaworthiness of Gloire. Warren Spencer, The Confederate Navy in Europe (Tuscaloosa: Univ. of Alabama Press, 1983), p. 66. 16. ORN, ser. 2, vol. 2, pp. 106, 122, and 168; and Still, Iron Afloat, p. 11. Mallory’s thoughts on acquiring the Gloire are found in ORN, ser. 2, vol. 2, p. 70. However, his agent in Europe believed that such attempts were futile, “as both France and England are anxious to get all the ironclad ships they can.” ORN, ser. 2, vol. 2, p. 87. This agent may have exaggerated the difficulty, as he subsequently contracted for a large ironclad vessel. 17. Spencer, Confederate Navy in Europe, p. 82. 19. Bulloch advised North that such a large vessel was impractical for the Confederacy’s purpose. ORN, ser. 2, vol. 2, pp. 207–8; and Bulloch, Secret Service, vol. 1, pp. 384–5. 20. Spencer, Confederate Navy in Europe, p. 122. 21. Ibid., p. 118. Spencer freely admits that no one really knows how formidable these European-built warships would have been, but he argues that the aura of “invincibility” attached to the vessels in later years was a myth. Naval historian Frank Merli believes that the ram aspect of these warships may have been overestimated, though the turrets would have proved useful. The vessels were often uncomfortable in the open seas and left their crews doubting their seaworthiness in rough seas. Frank J. Merli, Great Britain and the Confederate Navy, 1861–1865 (Bloomington: Indiana Univ. Press,  1970), pp. 141–3, 155–6, 159, and 213–7. Silverstone, in contrast, claims that the Laird rams were “turret ships superior to any Federal warship.” Silverstone, Warships of the Civil War Navies, p. 200. 22. Bulloch, Secret Service, vol. 1, pp. 385–6; ORN, ser. 2, vol. 2, pp. 79, 223–4, 226, and 269; and Richard Lester, Confederate Finance and Purchasing in Great Britain (Charlottesville: Univ. of Virginia Press, 1975), pp. 119 and 122. Bulloch received a volume discount of £1,250 on each vessel’s original price of £95,000. Bulloch’s complaints about the shortage of funds are found in ORN, ser. 2, vol. 2, p. 167. 23. Scharf, Confederate States Navy, p. 32; and Joseph T. Durkin, Stephen Mallory: Confederate Navy Chief (Chapel Hill: Univ. of North Carolina Press, 1954), p. 145. 24. Bulloch, Secret Service, vol. 1, pp. 53–4, 85, 100–2, and 376; ORN, ser. 2, vol. 2, p. 87; and Semmes, Memoirs of Service Afloat, pp. 367–8. 25. During and after the war, there were allegations that the Confederates had conspired to obtain war materiel, including warships, prior to secession. For typical opinions regarding these allegations, see Porter, Naval History, p. 356; and Davis, Rise and Fall, vol. 1, pp. 311 and 314. If the North had tried to match the Confederate naval buildup before hostilities began, the action might have been seen as aggressive and provocative by Europeans and many northerners. If it was important, as Lincoln believed, to maneuver the Confederates into firing the first shot at Fort Sumter, it may have been foolhardy to counter aggressively a Confederate naval buildup. However, the U.S. Congress did authorize the construction of seven new steam sloops in February 1861, before Lincoln’s inauguration. U.S. Naval History Department, Civil War Chronology, vol. 1, p. 26; ORN, ser. 2, vol. 2, pp. 44–50, 51, 64–6, 70–2, 95, 106, and 108–30; and Bulloch, Secret Service, vol. 1, p. 41. 26. ORN, ser. 2, vol. 2, pp. 44–50, 51, 64–6, 70–2, 95, 106, and 108–30; and Bulloch, Secret Service, vol. 1, p. 41. 27. ORN, ser. 2, vol. 2, p. 152. 28. Ibid., pp. 168, 177, 181–2, and 185; and Jefferson Davis, Messages and Papers of Jefferson Davis and the Confederacy, ed. James D. Richardson (New York: Chelsea House-Robert Hector, 1966), vol. 1, p. 211. 29. After the war, critics charged Davis with missing opportunities, including an offer made by the East India Company. 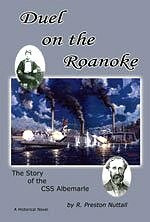 The company had ten steam vessels designed to carry ordnance that it no longer needed and offered to sell them to the Confederacy at half price. General Pierre Beauregard (through his ghostwriter Alfred Roman) and R. Barnwell Rhett accused Davis of bungling this opportunity. Details are sketchy; historian William C. Davis has the best discussion of this tantalizing but vague offer. Alfred Roman, The Military Operations of General Beauregard (New York: Harper & Bros., 1884), vol. 1, p. 59; R. Barnwell Rhett, “The Confederate Government at Montgomery,” Battles and Leaders of the Civil War (New York: Century, 1884), vol. 1, p. 107; and William C. Davis, A Government of Our Own: The Making of the Confederacy (New York: Free Press, 1994), pp. 350–1. Davis did not hinder Mallory’s efforts in building a navy, but he did not encourage the Confederate Congress to help Mallory. Davis apparently never understood the importance of the navy, aside from commerce raiding and keeping the ports open. For Davis’s attitudes toward Mallory, see Josiah Gorgas, The Civil War Diary of Josiah Gorgas, ed. Frank E. Vandiver (Tuscaloosa: Univ. of Alabama Press, 1947), pp. 58–9. 30. Davis, Messages and Papers, vol. 2, pp. 179–80. 31. Stephen R. Wise, Lifeline of the Confederacy: Blockade Running during the Civil War (Columbia: Univ. of South Carolina Press, 1988), p. 121. 32. Davis, Messages and Papers, vol. 2, p. 180; and ORN, ser. 2, vol. 2, pp. 165 and 183–4. Naval historian Bern Anderson believes that Davis’s decision to implement privateering was “the death warrant of the Confederacy, because it prompted Lincoln to proclaim a naval blockade against the southern ports.” He may have overstated the case, as Lincoln probably would have implemented the blockade regardless of Davis’s decision. Bern Anderson, By Sea and By River: The Naval History of the Civil War (New York: Knopf, 1962), p. 26. 33. See David Surdam, “King Cotton: Monarch or Pretender? The State of the Market for Raw Cotton on the Eve of the American Civil War,” Economic History Review, vol. 51, 1998, pp. 113–32. 34. See ORN, ser. 2, vol. 2, pp. 83–4, 165, and 186–7; Davis, Messages and Papers, vol. 2, pp. 389–90, 459, 474, 516, 597, 624, 676, and 706; and Bulloch, Secret Service, vol. 1, pp. 23–4, 380–1, and 383. 35. ORN, ser. 2, vol. 2, p. 183. Bulloch was still hopeful about getting unarmed vessels out of Britain. He believed that had he been supplied with enough cash, more warships might have been completed and sailed before the British tightened their policies regarding neutrality. ORN, ser. 2, vol. 2, p. 167. 36. Davis, Messages and Papers, vol. 2, pp. 159 and 164; and Jefferson Davis, The Papers of Jefferson Davis, ed. Lynda Lasswell Crist and Mary Seaton Dix (Baton Rouge: Louisiana State Univ. Press, 1992), vol. 7, pp. 255, 308, 374–5, and 395; and ORN, ser. 2, vol. 2, p. 152. 37. ORN, ser. 2, vol. 2, p. 122. 38. Davis, Messages and Papers, vol. 2, p. 676. 39. ORN, ser. 2, vol. 2, p. 184. At least two historians of the Confederate navy believe that Bulloch’s idea was feasible and astute; however, Raimondo Luraghi disagrees. Merli, Confederate Navy, pp. 178–9; Tom H. Wells, The Confederate Navy: A Study in Organization (Tuscaloosa: Univ. of Alabama Press, 1971), p. 136; and Raimondo Luraghi, A History of the Confederate Navy (Annapolis, Md. : Naval Institute Press, 1996), p. 203. 40. Spencer, Confederate Navy in Europe, pp. 67 and 117. 41. Still, Iron Afloat, pp. 203–4 and 231, and “Confederate Naval Policy and the Ironclad,” Civil War History, June 1963, p. 156. 42. Historian Tom Wells presents a more critical assessment of Mallory’s performance as Secretary of the Navy: “Unfortunately for the Confederacy, Mallory was a dreamer and a romantic. He kept hoping things would somehow work themselves out if left alone. A lover of innovation and a progressive thinker, he failed to take sufficient cognizance of the means by which some of his ideas were to be applied. 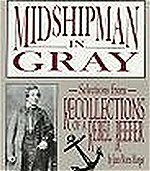 Ever proud of his cabinet position, he refused to risk it in an all-out effort to obtain the men, money, and material essential to the navy’s well-being” (Wells, Confederate Navy, p. 151).